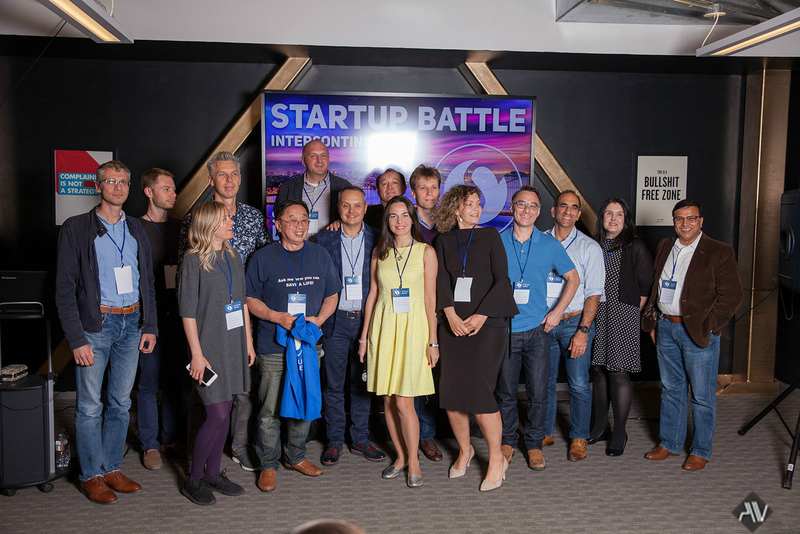 Professional network Startup.Network held one of the most important business events of 2018, The Intercontinental Startup Battle that was held at the end of April. This international investment battle became the 111th in the history of the company; nine the most promising and investment-attractive startups from all over the world participated in this event. Prior to participation they passed the rigorous preliminary selection. On the judges’ panel of the Intercontinental Startup Battle were: Artem Burachenok – Partner at Flint Capital; Leonard Grayver – Partner at Greenberg, Whitcombe, Takeuchi, Gibson & Grayver, LLP; Alexander Soroka - CEO&Founder at Startup.Network; Daniel Stolyarov - Investment Director AlmazCapital; Sergey Patsko – Angel investor. Co-founder PV Seed Fund I; Christina Trampota - Managing Partner, CGM Squared; Kate Seledets - Seed Program Manager, 500 Startups; Jose’ De Dios - Angel investor, mentor in the Startups Showcase Group; Alex Koloskov - investor, founder of Photigy.com; Sudhir Kadam - a serial entrepreneur, mentor; Angelo Del Priore - partner at HP Tech Ventures. In the first part of the Intercontinental Startup Battle, by tradition, a panel discussion was held, the participants were: Artem Burachenok, Daniel Stolyarov, Angelo Del Priore, and the moderator was Alexander Soroka. These experts discussed how to attract investments in Silicon Valley, what trends investors have about startups now and what to expect in the future. They discovered the secret of quantity of eastern-european startups. They invested personally. Speakers also explained, why venture capital funds, which are located in Silicon Valley, do not invest in the startups, that are not located here. Additionally, the experts told us what is the best way to move to Silicon Valley, and so on and so forth. The leader according to the judges voting became PhysioCue. PhysioCue developed an antihypertensive therapy device that combines the biosensor (PPG & ECG) technology for measuring blood pressure from the fingers, record and transmit the data via the Physiocue App. Aura is a decentralized, end-to-end employment network with a mission to match the world’s best talent with the right career opportunities to create synergistic workplaces within the technology industry. LimpidArmor is a circular overview system which reduces accidents and increases the efficiency of heavy industrial or military equipment. Thanks to the use of additional reality, collection of analytics and interactive tips, the system facilitates the control over equipment. LimpidArmor also allows you to automate and control the process of using equipment. “The event in Silicon Valley gave us an opportunity to understand the US market better and thanks to mentors’ support we began preparations for entering this market. In addition, Intercontinental Startup Battle helped us to find partners for the Advisor Board. And, of course, the main goal of the event is to find investment. After the participation of our company in this Battle, several large American funds became interested in our development. This event is definitely a step forward to success”, - said CEO & founder of LimpidArmor Mikhailo Vedmid. Our sincere congratulations to the winner of the Intercontinental Startup Battle - PhysioCue! We hope that it was a good experience for all participants. They received feedback from leading investors in Silicon Valley, got acquainted with representatives of local venture funds, and received invitations to meetings for discussing the further cooperation. The Startup.Network team is very grateful to 500 Startups for help in organising the event. If you striving to develop your project in the American market, and are wanting some valuable advice from international experts on the development and scaling of your project. Plus, to get your project noticed at the world’s best incubators, accelerators and venture funds, then we are excited to inform you that in October we will hold two Intercontinental Startup Battles - one on October 26th in New York and the other on October 28th in Silicon Valley. We have already begun the work on finding new and exciting, promising investment ideas. Don’t be afraid to invest in promising business ideas! See you!